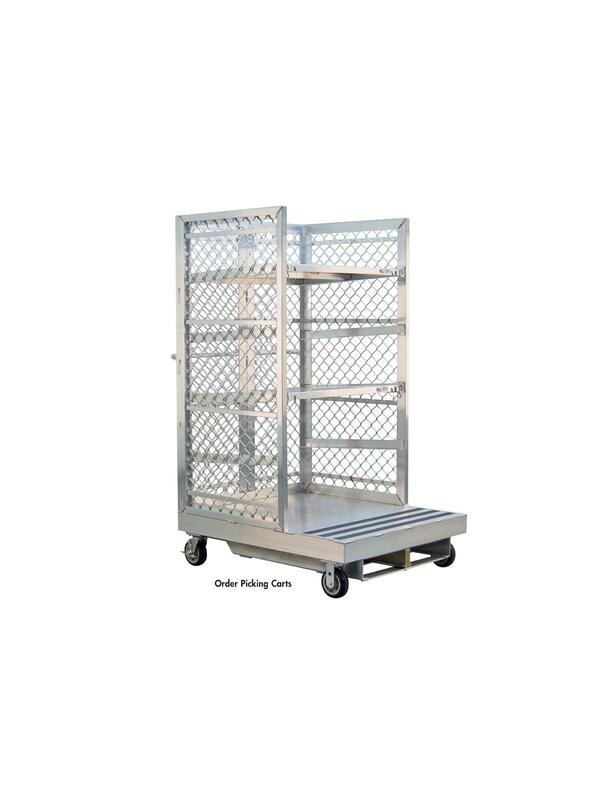 Order Picking Carts & Platforms | Carolina Packaging & Supply, Inc. Designed for mobile or order picking use. Pick, Put, Stage and Transfer. Lightweight aluminum moves safely and efficiently. Order picker secures to 2" x 4" wood block. 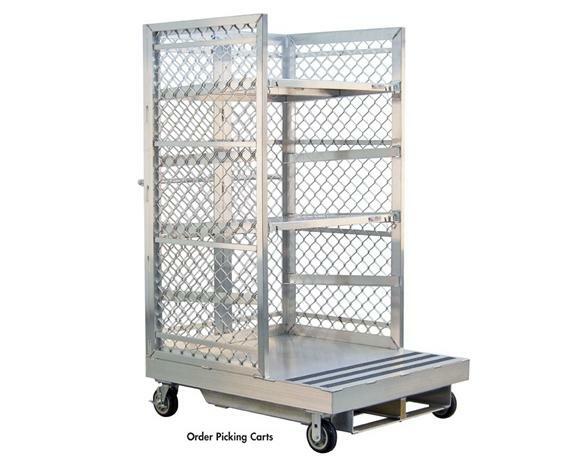 Order Picking Carts ship with two 30" deep shelves, additional shelves available. FOB Shipping Point. 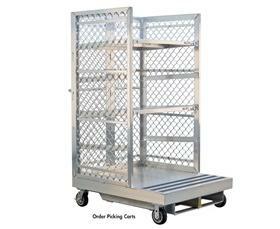 See Related Items tab for Ordering Picking Carts & Platforms - Additional Shelves. 40 x 48 x 78"40 48 78"